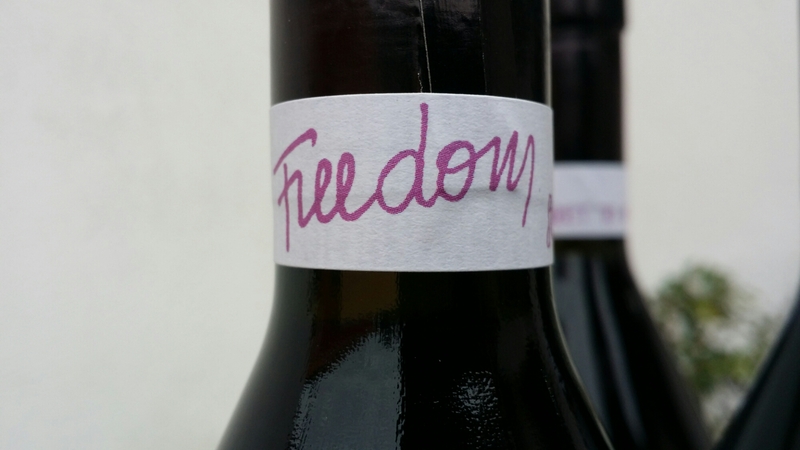 Having thought about it for a long time, at long last, with the 2014 vintage, I’ve gone ahead with my desire to abandon Brachetto d’Acqui docg and, using the same vineyards, the same grapes and the same hands, to set out on a brand new adventure called #freedom. Free from the villainous decisions made by a Consortium which neither promotes nor defends the doc and docg wines for which it was set up, but buries them underneath the strictly personal interests of a few people, losing sight of the main resource: the winegrowers. Exactly how is the cultivation of Brachetto vineyards organised in Piedmont? 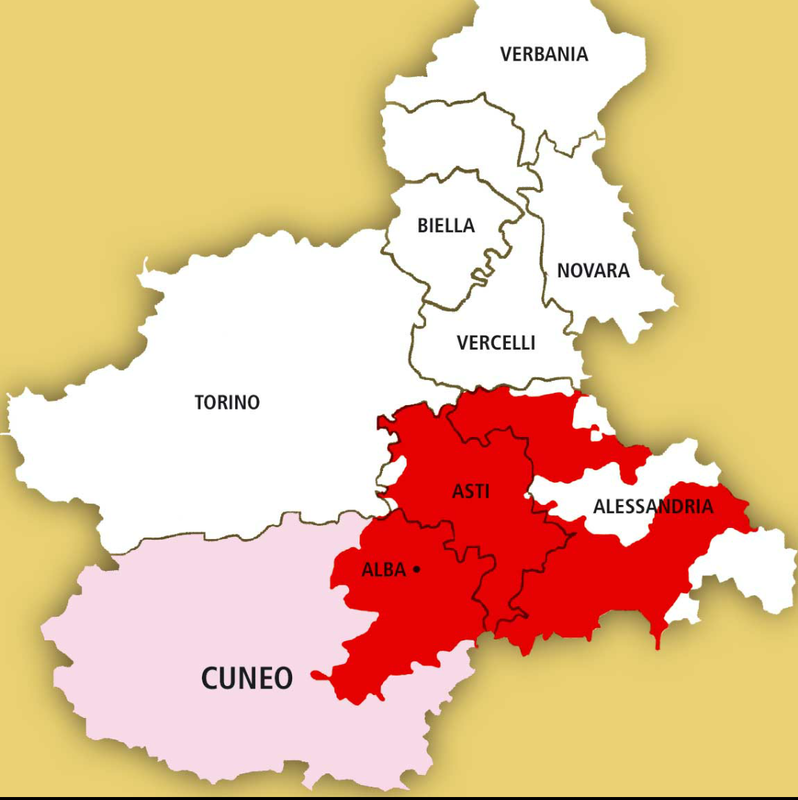 Basically, through a Piemonte Brachetto doc (a large area situated in the provinces of Cuneo, Asti and Alessandria) and a Brachetto d’Acqui docg which is much smaller, consisting of 26 municipal districts, where my vineyards are located. 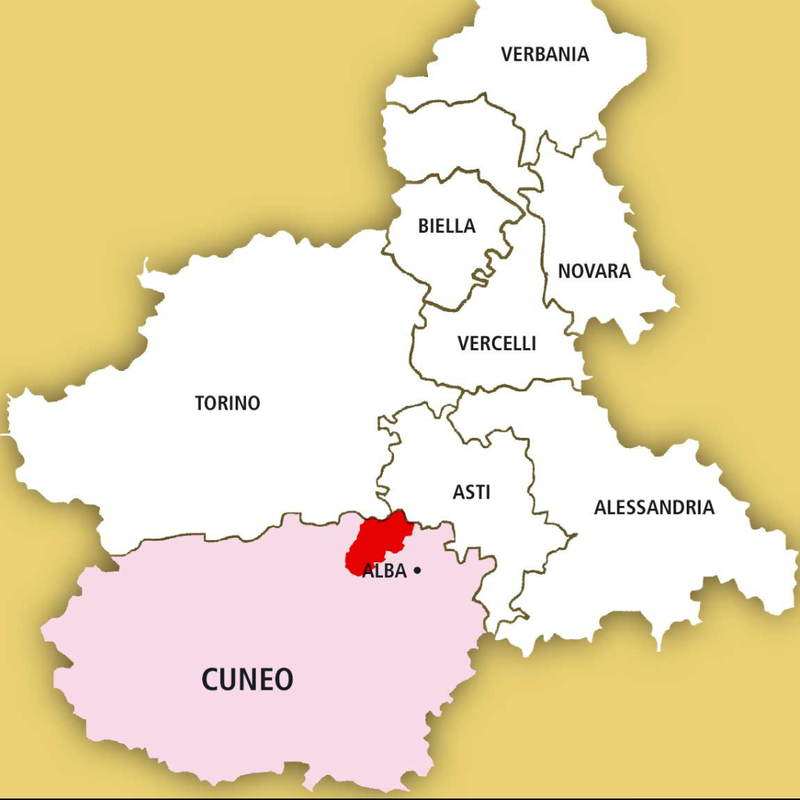 Then there is a third numerically important area, the Roero, where the producers have long-since decided to call the wine made as partially fermented must, in this territory Birbèt,. Brachetto is a grape variety which has always been grown on our hills, even before the devastation caused by phylloxera, but it was only in the Fifties, thanks to a young and innovatively-minded winemaker, that the current production technique was created, enhancing its typicality and its aromatic qualities, quickly making it a very clearly defined and recognisable wine. Arturo Bersano realised that the delicate aromas of Brachetto had to be protected with soft crushing, moderate fermentation (to prevent it becoming bitter, he said) and with a limited consumption time, playing on the immediacy of its aromatic notes. Experimenting with different fermentations, he offered a preview of what the knowledge of chemistry applied to wine was to explain much later on, this being that aromas (geraniol and linalol) are chemically linked to sugars, meaning that they have to be preserved also to guarantee the balance and body of the wine. The techniques used to make Brachetto d’Acqui were created by Bersano and the product was a wine that gradually became one of Piedmont’s finest oenological products, aided by the cold technology that entered all the most modern cellars from the late Seventies onwards. An unstoppable escalation ensued, thanks to wineries that exploited increased experience in the cellar together with better quality grapes guaranteed by new clones and new vineyards. This took us to the mid-Nineties, when Brachetto was the most remunerative grape variety in Piedmont, even more so than Nebbiolo, with those famous prices of 35 million lira per hectare, which galvanised winegrowers and increased the number of vineyards. Unfortunately, the decline of Brachetto had begun: the number of new vineyards was out of control and they were often planted in unsuitable areas, without the Consortium having created an effective and modern communication policy which could develop new markets and new types of consumption ready to cope with the growth in production. 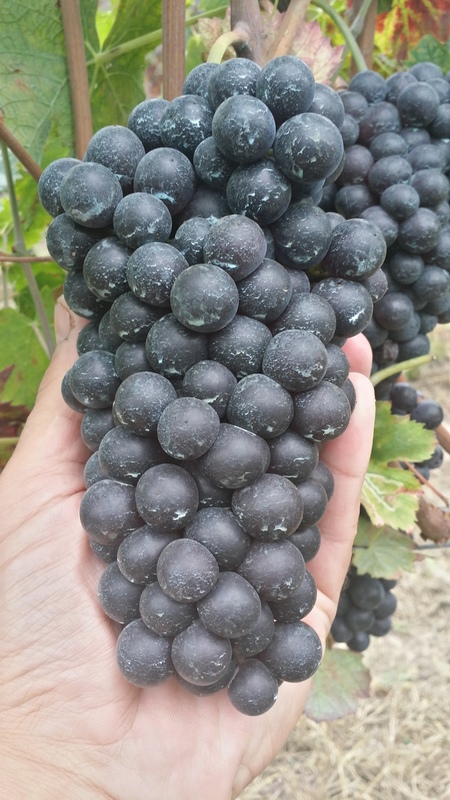 Another reason for the decline has been the poor quality of the Brachetto produced by industrial wineries (which, until just a few years ago, held over 95% of production). One of the causes of this poor quality is the fact that they don’t produce vintage wine, but often blend old, oxidised musts with the new product, ruining the end result. Recently, the most widely distributed Brachetto have been really sweet, almost nauseating, with dull colours and not even the slightest trace of the freshness of the fruit and of the aroma, resulting in wines which are virtually undrinkable. On the markets, the main reason for the drop in sales has been the ridiculous form of communication: the desire to pair Brachetto with biscuits and patisserie, delicate desserts or fresh fruit at all costs, without thinking of developing consumption as an aperitif or as a wine for drinking 24/7. Over the years, Brachetto has become an “old”, unattractive wine and consequently an out-of-business product. Consequently there has been a dramatic decline in consumption and an increase in the amount of unsold musts, which are recorded in the financial statements under inventories. (I’ve always found this description laughable). So, what have the Consortium and the producers done to fight the recession and relaunch the image of #brachetto as a brand? Nothing useful or innovative… just infantile decisions along the lines of demand is down so we reduce the yield per hectare to produce less. But if we reduce the yields, won’t that bring the farmers’ income down too? And this is when they came up with the next brilliant idea: let’s increase the price of the grapes and the musts to guarantee the winegrower a decent income. In just a view years, Brachetto not only was no longer in demand for the reasons listed above, it also lost competitiveness because the price was far too high in relation to the perception of the brand and the quality in the bottle. Add to this the fact that the Brachetto Consortium approved two types of tax withholdings per hectare (payable for every hectare of vineyard): one for “promotion” – and I’ve used inverted commas here because it’s plain for everyone to see that nothing tangible or innovative has been done; and the other to offset the value of the inventory of Brachetto must from previous years held in storage (in other words, must lying in “certain” cellars that has not been sold due to its appalling quality). But the straw that finally broke the camel’s back was the agreement proposed by the Consortium in relation to the prices and yields of Brachetto for the 2014 harvest which has just been completed. € 7,500.00 to cultivate a hectare of Brachetto (€ 9,000.00 from this year). – a docg yield of 3 tonnes per hectare, when the regulations indicate 8. – the remaining 5 tonnes/hectare for partially fermented must. No, I haven’t made a mistake – those figures are right! Can you believe it? A Consortium which proposes the production of more partially fermented must (red wine) than Brachetto d’Acqui docg???? Nowhere else in the world would this order be accepted without any opposition. Only here could people go along with a Consortium and a President that delegitimise themselves. 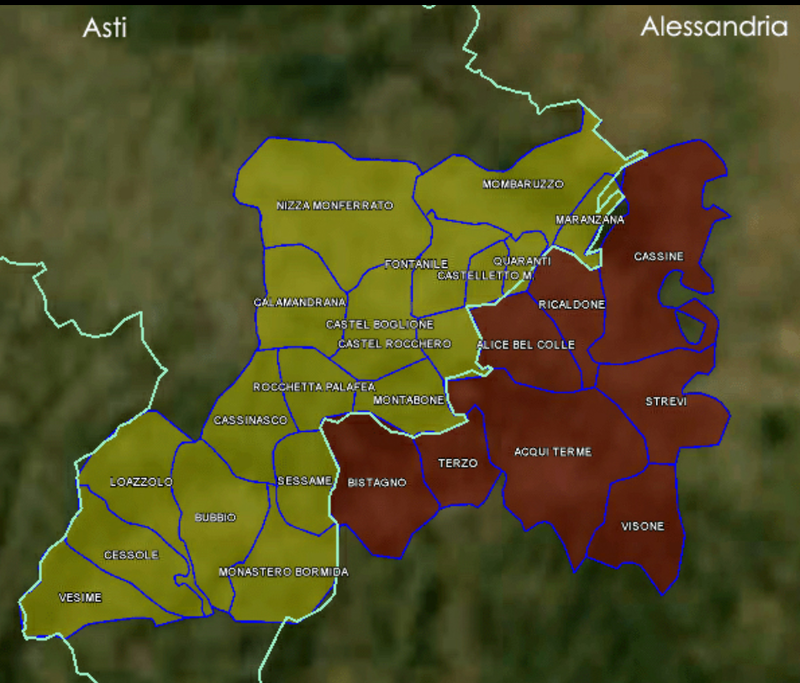 3 tonnes per hectare would account for the production of about 3,000 bottles per hectare of Brachetto d’Acqui in place of the almost 11 thousand of its “brother” Moscato d’Asti and there’s no need for me to go into detail with regard to how this would affect its competitiveness on the international markets. 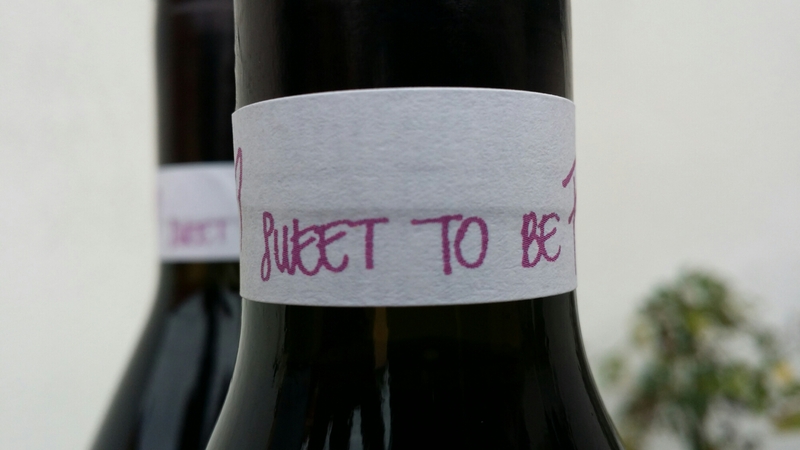 Following all these events (and a whole load of others that I won’t go into here), I have decided to change the communicative strategy of my Niades: switching from Brachetto d’Acqui docg to “partially fermented must” (the equivalent of red wine). In this way, I was able to pick my Brachetto grapes with an optimum yield per hectare (8 tonnes) to make a fresh, fruity and aromatic wine, and I had greater freedom to decide the % of alcohol. (In the docg I had to stay within a maximum of 5-6.5% Vol.). 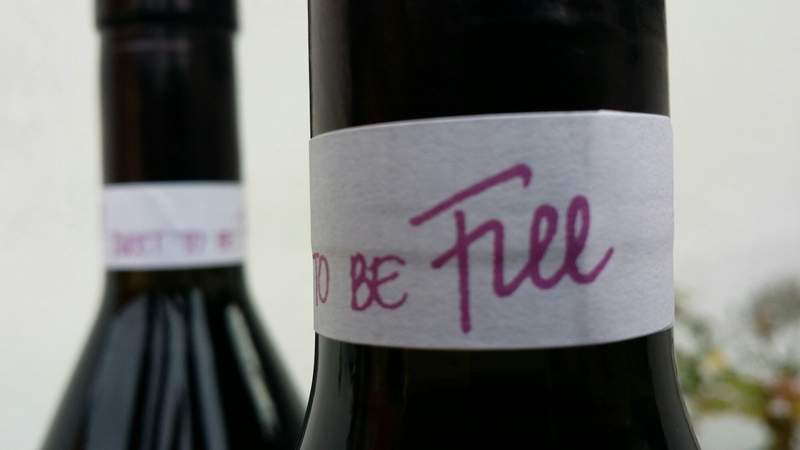 The law prevents me from writing the grape of origin, Brachetto, on the label, because it gives its name to a docg and a doc wine, so I decided to launch something new, something that received the immediate approval of Maurizio Gily, something that I would like to see become a territorial reference: #freedom #sweetobefree. Freedom, representing the liberty of a wine that can be drunk and enjoyed whenever you like, at any time of day (perfect 24/7), and freedom representing the liberty to move away from the dated world of Brachetto, which is standing by and watching its inevitable decline without reacting in any way, shape or form. 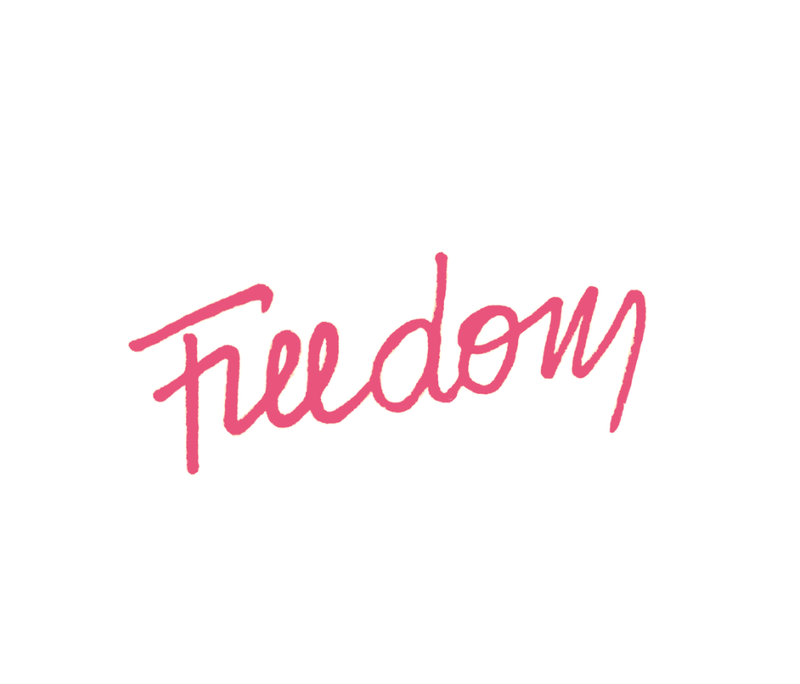 Freedom sweet to be free is a play on words, emphasising the double “e” (ee) used in sweet, free and need, all words that are mentioned in the lyrics of Queen. 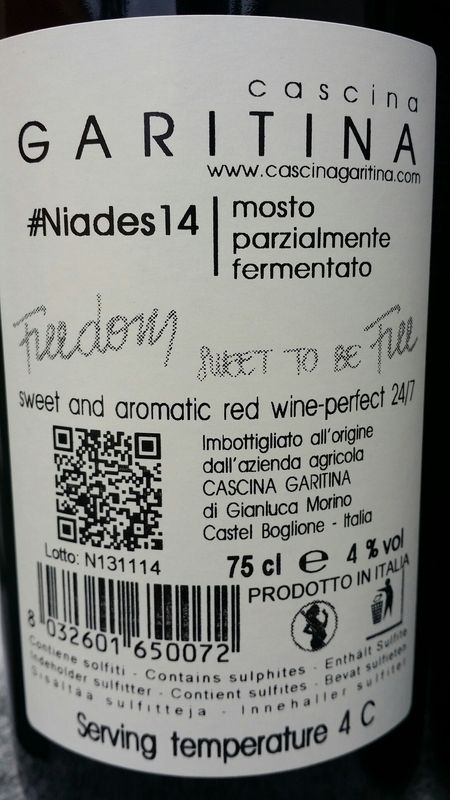 #niades14 is going to be bottled in several batches during the year to enhance all its fragrance and freshness and, with the first batch, dated 13 November 2014, I decided to block the fermentation at 4% alcohol,to leave more residual sugar to balance an important level of acidity: 7.80 total acidity with 137 g/l of residual sugar and 4.02 effective alcohol.#niades14 contains bubbles, thanks to the CO2 from fermentation, which is maintained in the wine using hermetically sealed tanks called autoclaves. CO2 is an acid which, by lowering the pH, plays an important role as a natural preservative, as well as accompanying the scents to the node and enhancing the mouthfeel of Niades14. The idea of a 4% alcohol content appealed immediately and makes the wine easier to drink and much more thirst quenching. The future of my Niades can be glimpsed in this vintage, in which the acidic component leaves little sweetness on the palate, for a linear and easy-to-drink wine. I offer it as a wine to be served as an aperitif, paired with savoury foods, like salami and soft white cheeses. 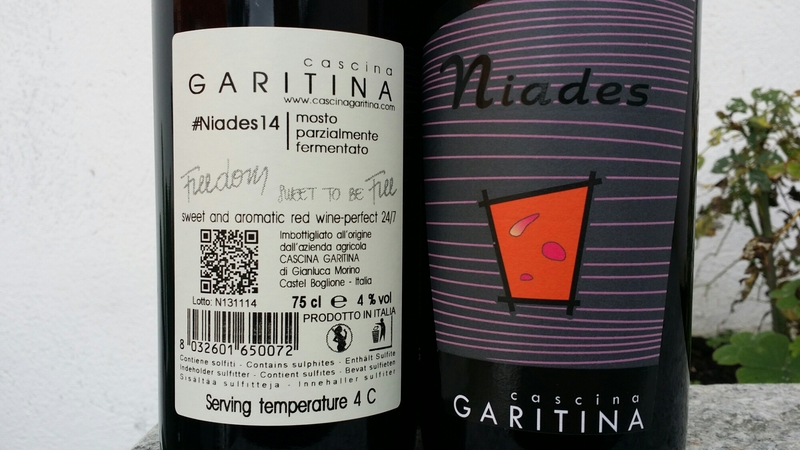 #niades14 is a delicate, aromatic wine which I would never recommend with a chocolate or custard-based dessert. It is a wine that you can drink at any time of day, trying to observe just one “commandment”: the serving temperature is 4°C. I am currently creating a new, clear bottle for #Niades14, which will soon come with a screw cap, to perfectly preserve the delicacy of the aroma.